The Lord of the Rings: The Two Towers on VHS. 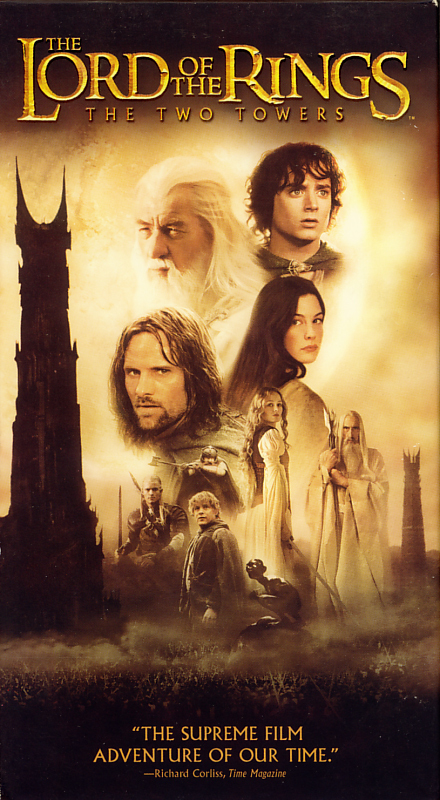 Starring Elijah Wood, Ian McKellen, Viggo Mortensen. With Christopher Lee, Brad Dourif, Sean Astin, Bruce Allpress, Andy Serkis. Directed by Peter Jackson. 2002. The Fellowship has broken, but the quest to destroy the One Ring continues. Frodo and Sam must entrust their lives to Gollum if they are to find their way to Mordor. As Saruman’s army approaches, the surviving members of The Fellowship, along with people and creatures from Middle-earth, prepare for battle. The War of the Ring has begun. 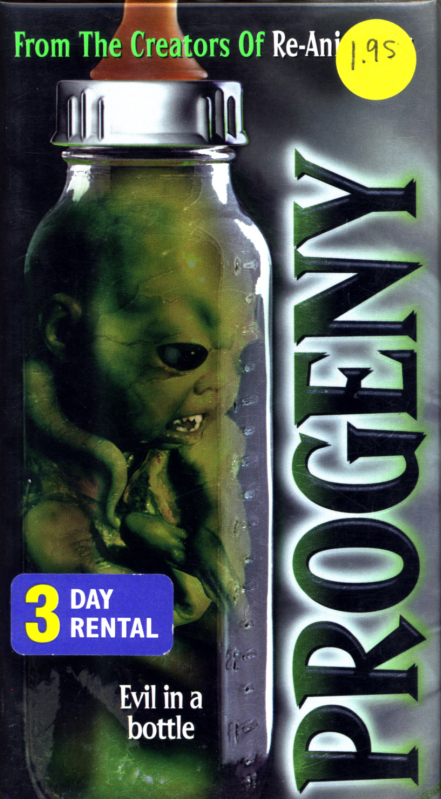 Progeny on VHS. Horror movie starring Arnold Vosloo, Jillian McWhirter, Brad Dourif. Directed by Brian Yuzna. 1998. Their dreamchild turned into a nightmare. After hoping and praying Craig and Sherry Burton’s dream of having a baby just came true. But it’s nothing like they expected. Because this baby is definitely not of this world. Fearing the worst, Craig teams up with alien abduction expert Bert Clavell to unravel the truth. Through hypnosis, they discover in horrific detail that Sherry was impregnated by aliens. Now the only way to save themselves is to face the terror within. The impossible cannot be denied when you feel it inside you.